Mismatch of your inventory can lead to a big loss in terms of both customers and finance. There have been instances where Target Canada had left customers fuming and Walmart incurred losses in billions due to inventory problems. Hence, running a commodity business, big or small, can be challenging without proper inventory management. It would be like losing the competition despite making a sale! Therefore, you should be well aware of where your inventories are before you start selling them. This is especially true for the small business owners who end up losing that added 30% in overheads due to mismanagement of inventories. Fortunately, there are specialised tools that can help you manage your inventories effectively. These tools ensure that you have enough stock at all times while keeping a track of which item you are running short of in your warehouse. For this, you need reliable and good quality software to help you keep you up to date. Here’s a quick list of some of the best free inventory management software for Windows. If you intend to grow your business, Zoho Inventory could well be the solution you are looking for. 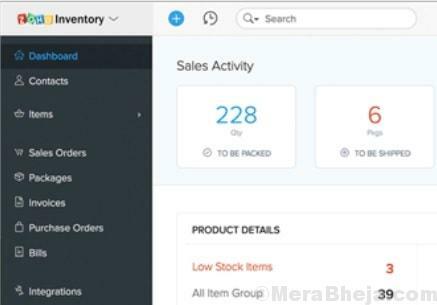 This inventory management software helps you to boost your sales while keeping a check on all of your units using features like dynamic stock management, order completion, and inventory control. It helps make your business more efficient by increasing your business online using their multi-channel inventory control system. You can also set it up and sync with your e-commerce accounts like Amazon, Shopify, eBay or Etsy to sell your commodity. The efficient order management feature helps you to handle your online and offline orders. From purchase orders, or backorders to drop shipments, you can create all of these in this one program. In addition, it offers complete tracking of all the batches or items in the warehouse using serial numbers and batch tracking function. What’s more? You can also fetch the shipping prices and the in-transit info of the big shipping carriers in real-time. This helps in choosing the right shipping associate for your business, smartly. Easy syncing facility with Zoho CRM and books to automatically bring over the contacts and orders, while you smoothly manage your financial information. 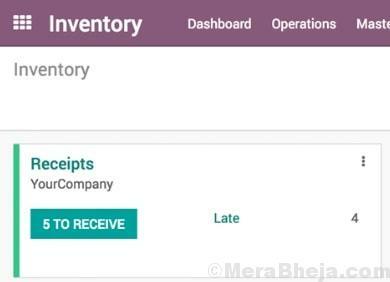 For those running a company, Odoo is certainly one of the best inventory management software to depend upon. It does away with any requirement of unnecessary integration with no interface between different software programs. It comes with 10,000+ apps that take care of all your business demands in one program. The apps totally integrated with each other and that help you to automate your business processes, in whole. This application is free for two people when used online, but if the open source version is downloaded and self-hosted, it can be used by unlimited users, for free. Based on ERP, this program offers an add-on app design which can be customized (increase/decrease the size) as the business demands. All your data is blended on the back end helping the purchases to find their way to the accounting and the inventory. Canvus is another great inventory management software that’s available as Stockpile. It’s an inventory system available for free for home users or small businesses. From adding inventory, or taking return request to recording sales and damaged items, it comes with a host of useful features. It works through a tiered access model as you manage the locations, manufacturers, choices, and real areas. The best part about this software is that it does not impose any limits on the number of goods, locations, and the users that are required to run a business. Stockpile helps you save time and money, while you relax. Moreover, it ensures that it safeguards your written list from getting misplaced, makes things easier next time, and keep updating their features at all times. Ordoro is a one-stop solution for all those shipping orders that are processed from all your sales mediums. It also keeps all the information regarding inventory automatically rolling forward and back from all your integrated mediums irrespective of whether it’s the sales end or the supply end. This program is the center of all your inventory related concerns. You can connect all your mediums from marketplaces to online stores, right into the app for a multichannel business that’s linked to the same warehouse. In addition, you can add different warehouses such as Amazon Fulfillment, or garage, while you also get the freedom to select from where you want to ship orders. What’s interesting is, instead of going through the hassles of maintaining a spreadsheet, you can use Ordoro. It simply keeps track of all your inventories on the back end and prevents any stock shortages as you complete orders and restock products. That’s not all, as the program also keeps a check on your completed orders and re-filling of stocks at all times. As you finish an order delivery and stock up on the items again, the program automatically updates and integrates the number of products through each of your sales and supplier mediums for a well-coordinated business. This open source inventory management software comes with a search feature that lets you search for a lot of fields in a matter of seconds, despite the number of parts you have. 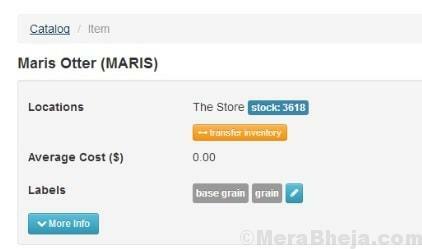 It also allows you to look up for different parameters like the distributors, order numbers, stock levels, and more. In fact, you can even search for similar parts that may be there in stock using the next parametric lookup that enables you to look for parts. Moreover, you can add any related data of the part you have that may include the details for the manufacturers, distributors, and attachments. While you can add any part parameters as your business demands, you can also mention any unit such as Lux, Newton, Ohms, etc. Now, this data can be further used to look for similar parts using the next parametric search. PartKeepr further helps you to keep a tab on the all that you add and remove in the warehouse using the price of the parts, users, number of parts added or removed, and any comments. You can check the global stock history to analyze any inclusions or deletions from the entire warehouse. The best thing about the program is its ease of use that helps you sort and filter by almost any field. This inventory management software is a cloud solution that’s absolutely free for users. It’s built to especially manage inventory and fulfill orders for everyone. From small scale eBay sellers, or bigger e-commerce players to online retailers or for that matter, anyone who deals with inventory products. It takes care of all aspects of the order fulfillment process while offering a smooth and convenient experience. From managing your inventory all through, receiving the products from the seller, or counting inventory to shipping only those products that are in-stock, there’s a lot that it helps you to do. The software depends a lot on the barcode printing and scanning process to offer simple order fulfillment minus any errors. Given that it takes care of all the aspects of an order fulfillment process, you can also get to know which products are profitable and which are not. What’s more? You can complete orders from Delivrd much easily using the integrated Shopify and WooCommerce order import utilities. Best of all, it’s known for its inventive pickup, picking, and shipping support. If you are looking for a freemium software, then inFlow can be one of the options you can explore. It calls itself a dynamic and robust inventory management software that’s user-friendly. It comes with a high-performance local Windows app. All you need to do is to download the feature loaded app that helps you to quickly and smoothly manage a lot of products and orders. Best of all, you can install it on unlimited systems and sync everything in a jiffy. It’s also available in the form of apps, so if using the web app, you can view the inventory from any browser. It works as a barcode scanner as a phone app and helps you edit products. In addition, you can set it up pretty quickly using inFlow cloud as it gets rids of any servers or VPNs. While the auto backups give you the much-needed peace of mind, it also keeps your data protected using the same high-quality encryption method. It’s a responsive program that lets you keep a track of your sales and inventories easily and efficiently. It comes with a simple interface with a neatly arranged layout it features graphical buttons assigned for each function. Here you can add your inventory, create invoices, prepare customer and supplier database, manage purchase, and more. In fact, you can also create and print bar codes using this program. For any help, you can refer to its detailed PDF guide that is perfectly written and helps you understand each of the features in a simplified manner. It’s a clean program with no clutters. It’s known for its ease of use and can be easily customized. From creating a detailed purchase and sales order to ordering the dispatch, it helps you manage your inventories efficiently. This free inventory software by Almyta Control System is for small and mid-sized businesses, and for single users. While it offers an unlimited number of records, it also offers endless workstations where it can be installed on. The MP II program offered by the software especially takes care of everything related to managing inventory. This enables you to keep a check on all the steps of the inventory life-cycle right from the start, that is, from the day you prepare a purchase order for the supplier to the time the product is shipped to the customer. Not just that, the modular arrangement of the program makes sure that you are able to make the program flexible to your needs. Best of all, the business version of the program can be completely customised. From the ability to serving multiple warehouses, companies, currencies, workstation customisation, and logos to offering password protection, pop up message for translation, or company backups, it comes with a host of features. It changes the way you do business with its wide range of cloud-based business tools that help you get all your processes on one platform. It offers all that you need to manage your projects and boost your business growth with élan. From invoices, or purchase orders, to quotes it includes a lot more processes that help you manage your inventory effectively. Using this software, you can track jobs, manage tasks, and store files in a single place. Moreover, you can also manage many jobs smoothly from any location, at any time. You can also create and manage client and supplier database of all the enterprises that you work with. What’s ore? You can also keep a check on your current and past job orders. There’s an extra tool to create quotes that are simple, fast, and adaptable. It also equips you with some solid editing and adaptable templates to help you with your jobs. While you can manage timesheets for efficient time management, you can also create professional invoices using the integrated invoicing tool. Create purchase orders quickly, use the dynamic stock and inventory control tools or get the 360 degrees insights with the business tools and report with this powerful software. Your inventory status can make or break your business, so it’s extremely important to keep a check on what’s in stock and what’s not. Imagine the horror when you realize that a certain item is running short of numbers or is already out of stock after the order is taken. Therefore, to avoid such situations and for the growth of your business, you would need the best free inventory management software for Windows. So, pick one from the list and start managing your inventory today!